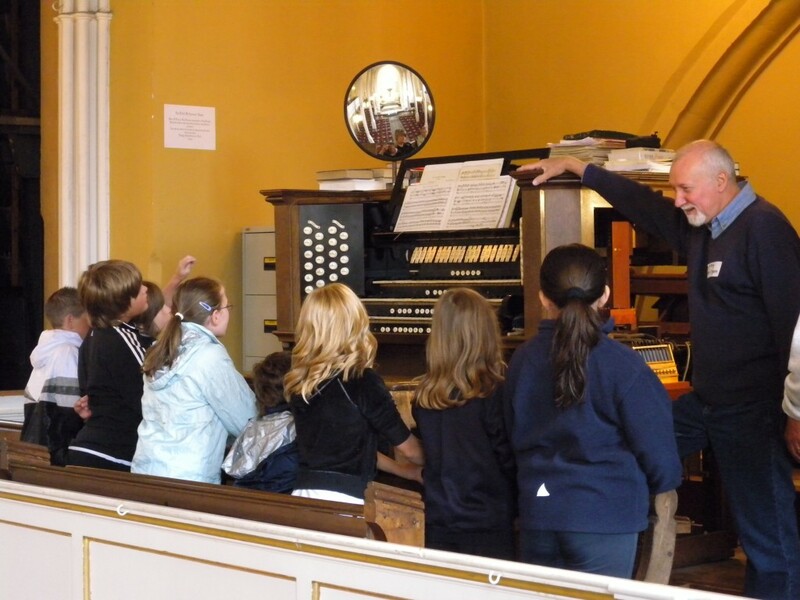 A warm welcome awaits you as you discover the wonders of the Stony Stratford Willis Organ, the King of Instruments! Our newly restored Father Willis organ is a splendid instrument, housed in a beautiful church with an exceptional acoustic. St Mary and St Giles Church sits in the centre of the historic market town of Stony Stratford - many good reasons to visit and discover the music, the history and so much more! Bring your group or class by arrangement and sample the sight and sound of this magnificent instrument - you will not be disappointed. Free packages of online teaching materials are available for all ages and interests. Our Church Hall can be available for your group to enjoy their refreshments or as a study room. For an informal discussion about the many opportunities both within the church and beyond in Stony Stratford, please email visits@musicforallsmsg.org and a member of the Visits Team at Music for All @ SMSG will be pleased to discuss your requirements and make your visit a great success. As part of the Heritage Lottery Funded project we have created a video about the Willis pipe organ. We also have pull up banners about the organ which are brought out at events.